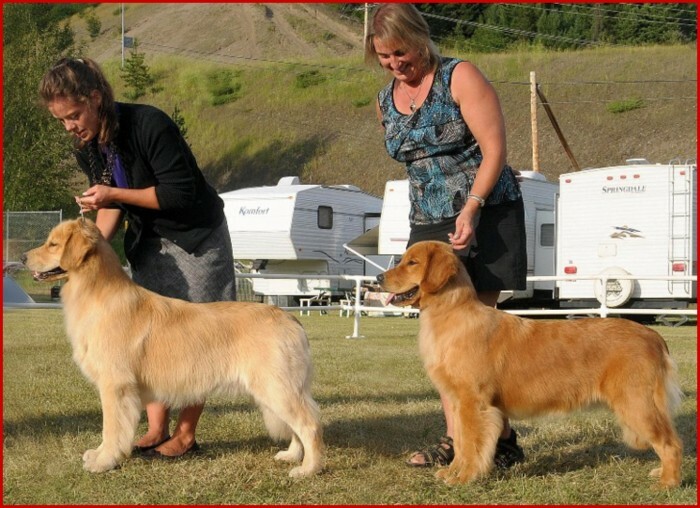 Congrats to Jacquie and her Landon kids, Cooper & Naughty. Cooper finished his Championship and Little Miss Naughty's first time out wins 3 points. BPIS. 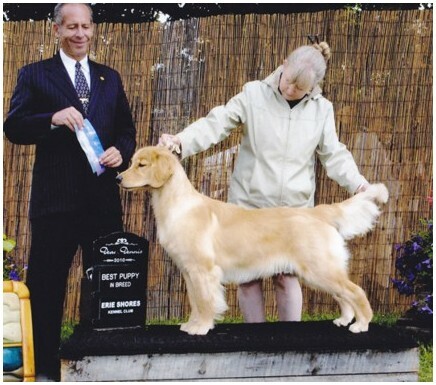 Kokopelli Jammin' At Goldpaw "Pensa"
Pensa wins Best Puppy In Show under breeder judge Doug Windsor. This was Pensa's first show, we are so thrilled! 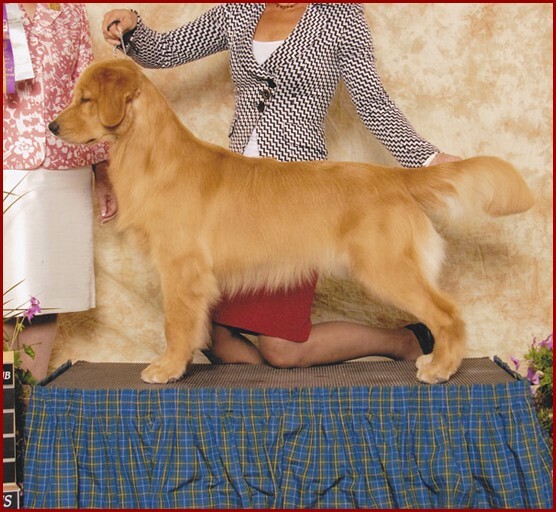 BPI Sorting Dog Specialty Ch. 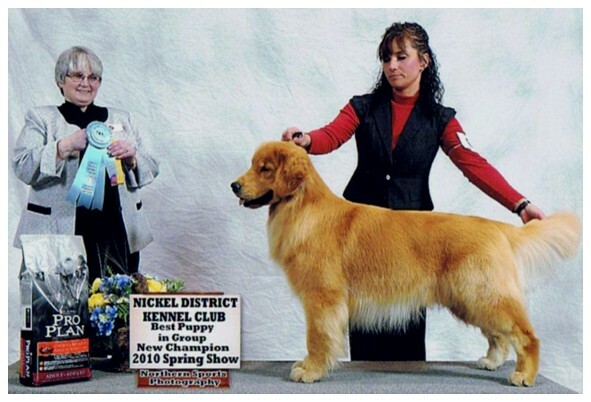 Goldpaw XMen Action Figure "Pilgrim"
Pilgrim won his class both days & took reserve winner's dog from the Junior puppy class! 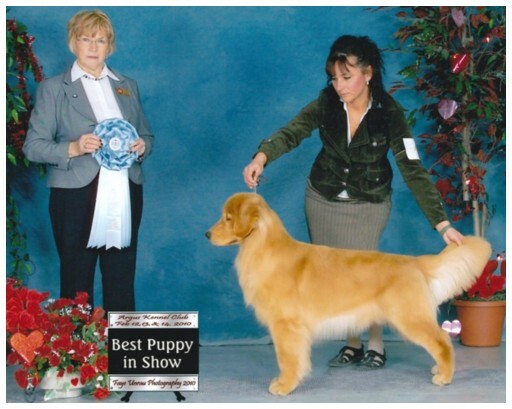 he is a son of our favorite boy "Dreamer" Pilgrim attained his Championship as a junior puppy! 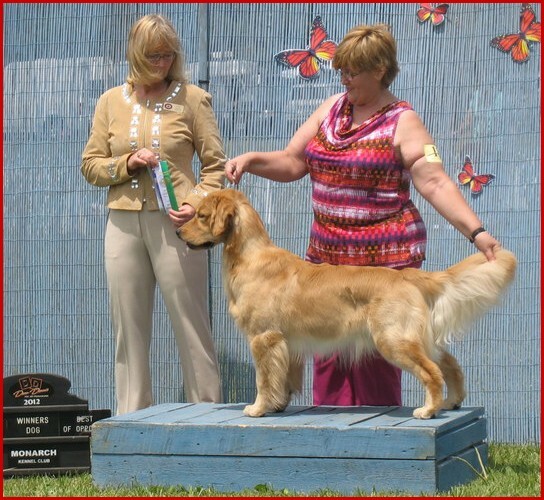 Pilgrim attains his Championship in Halifax at 8 months of age! Multi BPISS Ch. 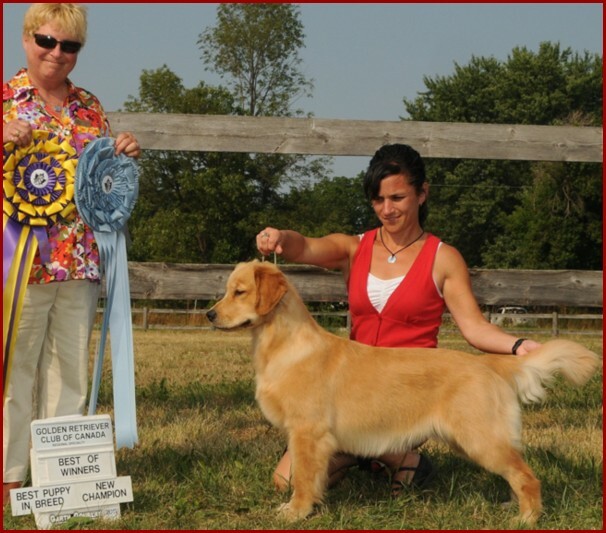 Merrygold RU The One AtGoldpaw "Crush"
Crush takes back to back Puppy In Specialty Wins! 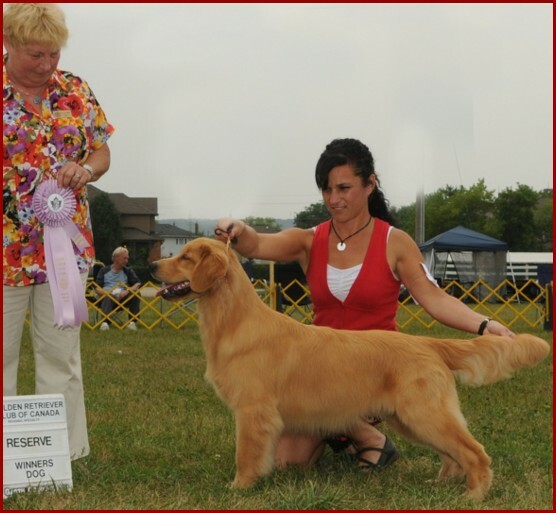 This young puppy attains her Championship in 3 shows. Ch. 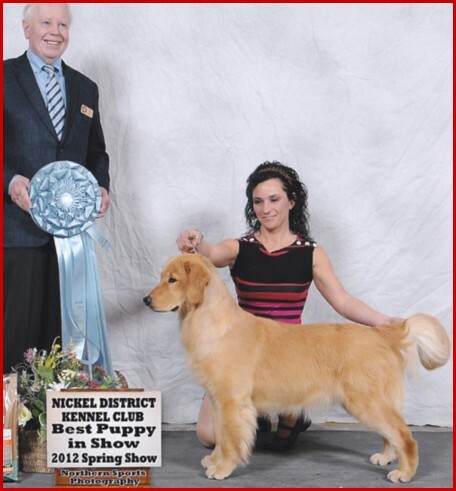 Goldpaw's Slotz Of Fun "Vegas"
Vegas finishes her Championship from start to finish in 2 days of showing!! 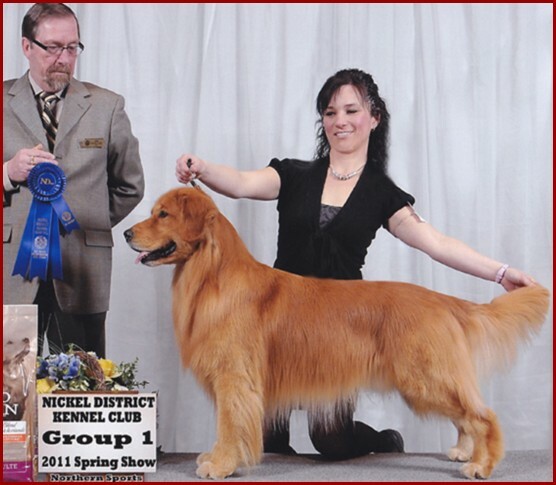 MBPIS.Ch.Goldpaw My Dream Come True CGN "Dreamer"
Dreamer takes the sporting group under Bob Rowbotham!! Only 2 more points to go for his SDHF title!! 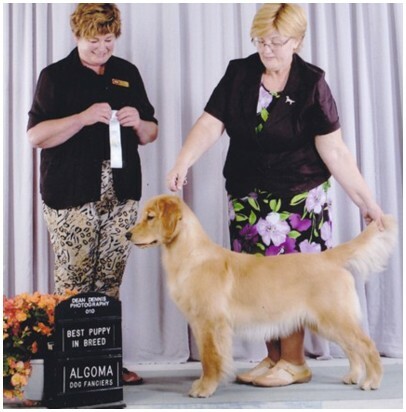 Goldpaw's Slot'z Of Fun "Vegas"
Vegas wins Puppy In Breed. Congrats to Heather for working so hard with her! MBPIS.Ch.Goldpaw My Dream Come True "Dreamer"
Dreamer wins his first Group 1 under Terry Carter, he also takes a group 2 at the same show under Valerie Gervais. 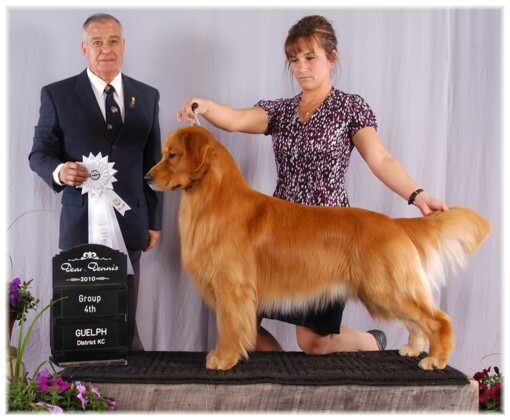 He is now # 6 golden in Canada & more than halfway towards his Show Dog Hall Of Fame title. Dreamer has only been out at 2 shows this year and has been in the ribbons continually. 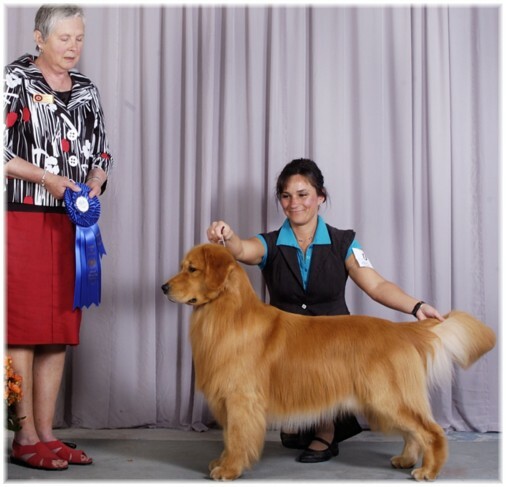 He wins a Group 2 in a very competitive sporting dog ring under judge Joy Lynne Huntley & a group 4th under judge Patricio Muza. Great things await this young man! 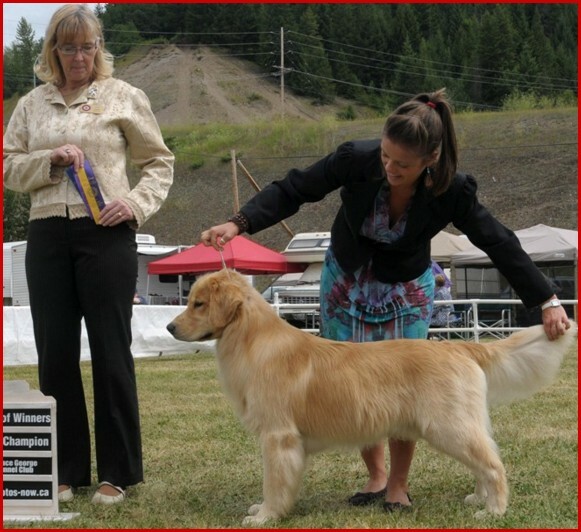 Ch.Goldpaw's On The Third Day " Ryzer"
Ryzer attains his Championship @ just 11 months. 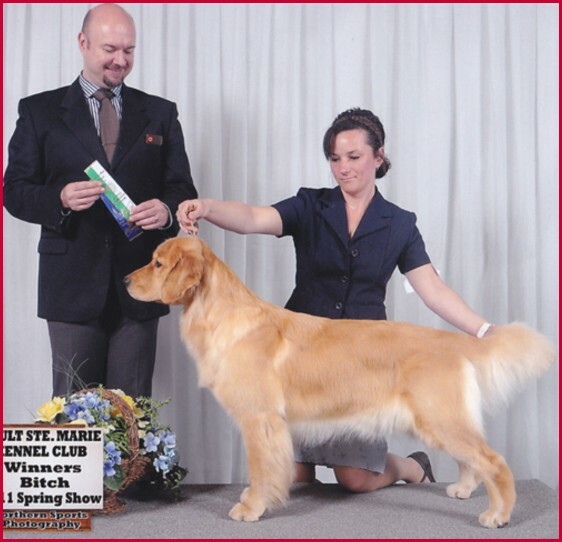 He also won the puppy group under Darle Heck. 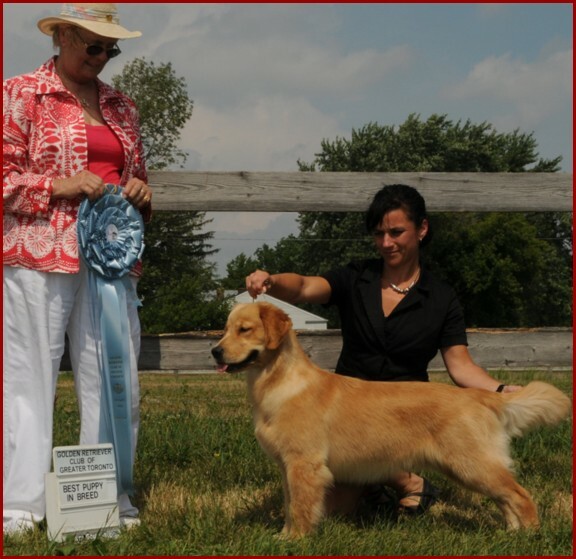 Goldpaw's On The Third Day " Ryzer"
Ryzer wins back to back Best Puppy In Shows! what a great way to start his show career... watch for him in Sudbury, he needs only a single point to finish his Champion title. Thank you to the Beech's for these unforgettable wins.